Andrei Rata, better known as Andrew Rayel is a 20 years old DJ/Producer from Moldova. His musical career began in 2005. At only 17 years old, Andrew Rayel has been producing since he was 13, each year gaining more and more experience and finding his “sound”. His tracks have a variety of influences from different trance styles. We were very pleased to speak with Andrew Rayel at ASOT 600 Den Bosch. We had a really nice chat with him, and asked him about his set at the mainstage, productions, future plans and many more! 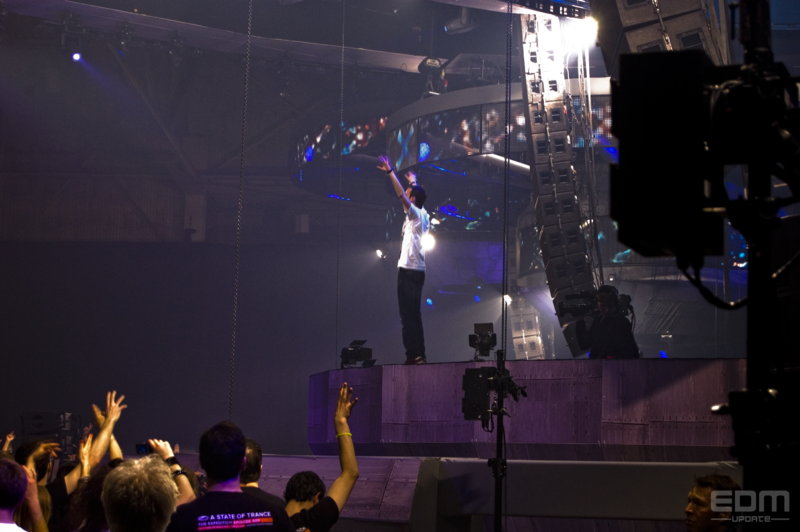 Andrew, you just performed at the Mainstage here at ASOT600 Den Bosch. How did it go? Really really well! I didn’t expect the stage was going up during my set, and I thought: ‘O my goodness, this is incredible!’ When the DJ Booth was really high I saw a lot of people jumping, screaming and reacting very well on all of my tracks. Nobody told you the stage would be going up and down? Well, the backstage manager came to me before my set and he told me. But I didn’t hear him well because of the loud music. So, I heard something like: “Stage… coming up…”. And during my set the whole stage was going, up and I was really surprised. While I was jumping on it and the whole stage was moving. But, it was amazing! How did you prepare yourself for tonight’s set? Are there special rituals you go through? I don’t have special rituals. But I always wear this wristband during my sets. Haha, it’s my lucky wristband. I started a month ago to prepare for tonight’s set. After my set at ASOT 600 Beirut, I started thinking about which tracks and special edits I would like to play here tonight. And because this is the most special and also the last one, I played a special intro, a couple of mashups and my last remixes. What did the radio show ‘A State of Trance’ What did this mean to you musical career? It helped me a lot. Armin chose one of my first tracks “Aether” as the Tune of the Week. He keeps promoting me, and plays all my tracks. 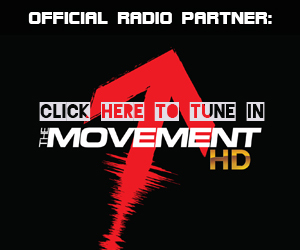 A State of Trance is one of the most promoting radio shows for me. 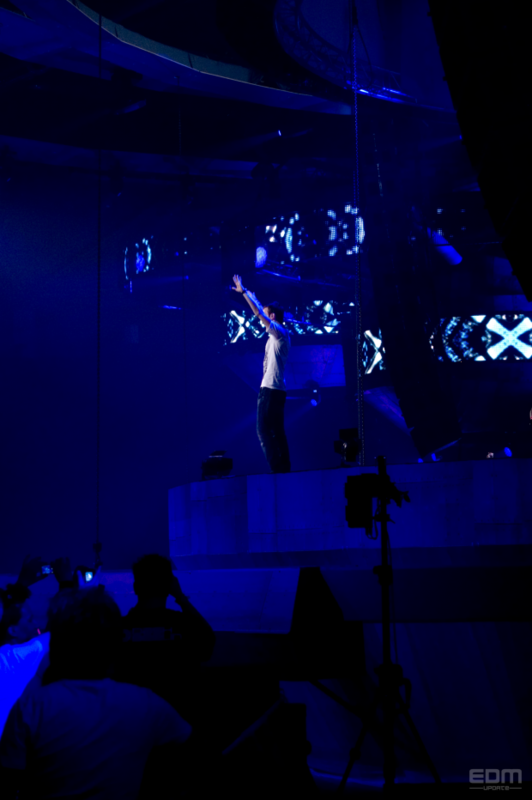 I’m here because of Armin, he gave me the opportunity to perform for such a huge crowd. Deff names such as Armin, ATB, & Tiesto. When I was young I listened to the classic trance tracks on the radio together with my brother. Well, back then it was normal trance off course. And around this time I started to play piano on the musical school. But I didn’t like to play the songs that teacher wanted me to play. I wanted to create my own melody’s. I choose to produce trance because I loved the tracks Armin, ATB and Tiesto were playing on the radio back then. Can you tell us something about your first gig? Where was it en how did it go? It was in my home country Moldova. There was a huge line up, and Stoneface & Terminal were the main act. There were 7 to 8 DJ’s and I was playing as 3rd. Around my time there were 200 till 300 people. I was playing back to back with one of the local DJ’s and it went very well. After that I realized that I love to play my tracks on stage! What are your favorite records at the moment, and most important did you play them tonight? Yes, my mashup between Tiesto’s remix of Delerium’s track ‘Silent’, and his track ‘Lethal Industry’. What does your studio looks like, and which hard/software do you use to produce your music? Well, my studio is very simple. I don’t have anything special, and I don’t use any hardware like compressor or limiter. Everything is in my powerful computer with a simple audio card. Beside that I have studio monitors and a big Midi Keyboard, and that’s it! The software I use is called ‘Cubase’. How would you describe the unique Andrew Rayel sound? I try to keep the feeling of trance in my music, but make it very strong for the big rooms. At the same time it contains a lot of melody. I don’t like straight beats. I always use a lot of melody’s, strings and piano. It’s not a big secret that Armin is a big fan of your productions. How does this make you feel? I’m a big fan of his productions as well! We are each other’s fans! I never expected that Armin would become such a fan of my music. It happened so fast! 2 or 3 years ago I used to be in the crowd, jumping and screaming on Armin’s tracks. Just like everyone else. And now people are doing this on my tracks. It’s such an honor that Armin gave me this opportunity to release my tracks on his label, and play with him on the biggest gigs everywhere around the world. He plays al my tracks, just incredible. I can’t express that in words! Which such a busy DJ/Producer life, is there any time left to spend with your friends and family? Not so much. I haven’t seen my friends for more than a month. I did a lot of tours, and I’m just back from my Canada tour. So I don’t have a lot time to see them. I still have a lot of contact with them on Skype and Facebook. Today my brother came with me to enjoy the shows. And what do your friends think about your DJ career? They think I’m a genius or something! And they listen/watch all my live sets if there is a live broadcast of it. And they keep sending me messages like: “That was good!” and “That was really really great!”. I got a lot of support from them, and they are really good friends. What do you see as the highlights of your musical career? 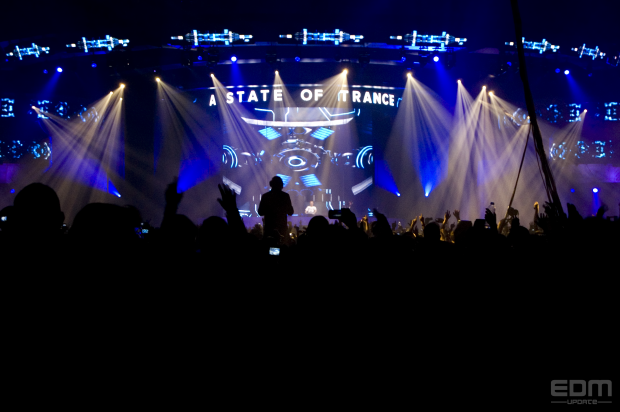 I think one of the highlights is to perform here and in Beirut for A State of Trance 600. But especially here at the grand finale, the biggest one in Den Bosch. And another highlight of my career is the track I did with Jano, called “How Do I Know”. Which was released last year. I still play this track in almost every set! What’s next for Andrew Rayel? 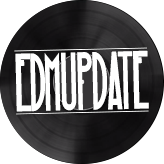 I’m working on my first artist album, which will be released on Armada Music. There will be a lot of new tracks. Even some new vocal tracks, I got some really nice vocals! I can’t tell more about that yet, but I hope it will be released this year. But at the same time I don’t want to rush it. I want it to be something special! Maybe we will also do some concerts for it. So, that’s coming up!